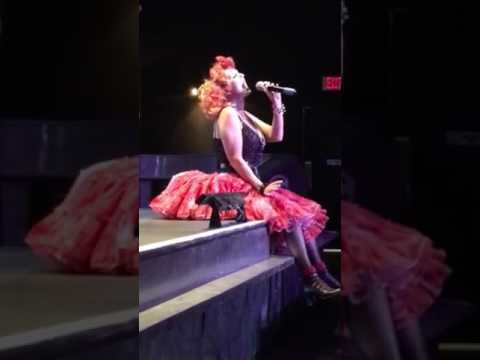 Felicia Lynne, has been performing in Florida & other areas, as Patsy, Reba, Lucy, Cyndi Lauper as well as Grease and Andrews Sisters or USO Tribute, many other characters, for a number of years. There is also a caroling group that performs 3 part harmony. We can stroll through parties and corporate events. Perfect for all types of venues. Other Characters include, Reba, Cyndi Lauper, Lucy, Janis Joplin, Sandy from Grease, & more. Thank you Hannah! Our Pleasure! We had a wonderful time with you and your guests:) Please feel free to reach out again when you have another party! You did a wonderful job... my kids love you and everyone else enjoy the ABBA show. Thank you Diana! Your party was a blast! We enjoyed singing and being a part of it! I highly recommend Felicia , she is very professional and charismatic. I would definitely have her again for future events. Felicia you are awesome keep up the great work that you do!!! Thank you Sannthia! 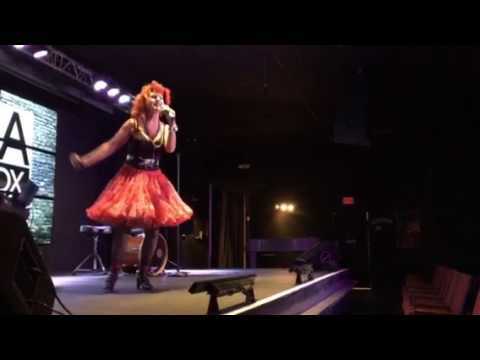 I loved performing for your Grandmothers party as Lucy! I'm so glad you all enjoyed me! Communication was great through the whole process and interaction with everybody was five stars! Thank you again for everything! Thank you Mike! Looking forward to seeing you all again! I'm glad I was able to make Denise's birthday special! Characters and More were a true pleasure to work with! They are extremely kind individuals with a beautiful voice! Their attire was spectacular, they were dressed beautifully and truly enabled us to create memorable moments for all of our guests. I highly recommend you don’t think twice if you need to hire individuals with a great voice! We recently (and for the 1st time) scheduled an event with Characters and More as a surprise gift. Felucia and her team were such a pleasure to work with! They were prompt & provided a very memorable Holiday treat for all. Everybody loved them. Elegant, pretty, everything we were expecting! Looking forward to coming back again:). Hope to see you this year again!! I am a Professional Entertainer for over 20 years, I stay "clean" in all respects and am polite with guests. I have my own sound system or can work with one provided. If I am performing as a telegram, I will either perform Acapella, or work with one provided at the venue or with my own professional sound system for an additional price. When booking Carollers, we stroll and sing Acapella, 3 or 4 part harmony. 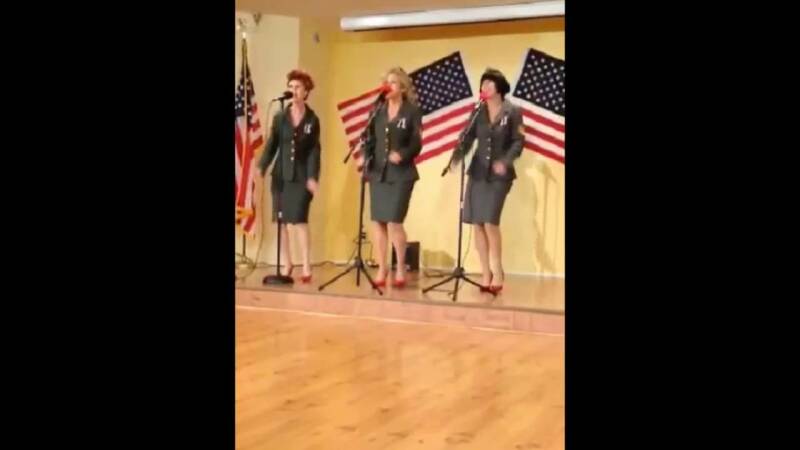 My Andrews sisters/USO tribute uses tracks and 3 part harmony. We can bring our own system or use one that is provided by the client or location. All Characters performed with authentic voice, with the exception of "Janis"which is "lip sync." SUCCEED IN BUSINESS WITHOUT REALLY TRYING. DIE FLIETER MOUSE, EL CAPITAN, & PIRATES OF PENZANCE. FloridaPanthers, Tampa Bay Lightning, & The Baltimore Orioles. in TV Commercials / Films and has also directed & produced her own stage shows. and many other different types of characters for a variety of occasions. Corporate cocktail gatherings, & Entertaining for Club Functions. For Patsy I know over 30 songs. All types of entertainment have influenced me. I like a lot of the 40'-70's as they were not so electronic & used "real" live performers.